The Great Lakes may hit record ice cover this year | Watts Up With That? Lake Superior sets a new record for winter ice cover, other lakes are icing up fast. The number to break is 94.7, set in 1979, which is also a year of some of the worst winter weather ever in the USA, and coincidentally, the peak year year when Arctic sea ice trends were begun via satellite measurements. Right now we are at 78.5%. Just a week ago the ice cover was 66 percent. I will update when this coldsnap is over. It has been cold and nasty, even in Pennsylvania. And my propane gas costss over $4 per gallon!! “The ice cover should continue to grow at a rapid rate based on temperatures expected in the next few weeks. You may not want to hear this, but I don’t see several days in a row cracking the freezing mark until at least February 21. There could be a few hours above freezing late next week, but that won’t slow the ice growth. Also, the weather pattern is going to be fairly quiet in the next two weeks. This means lower wind speeds around the Great Lakes, which should help accelerate ice cover growth. Just yesterday we had WUWT reporting “Over two-thirds of the contiguous USA covered with snow“, and now this. Some ski resorts in Scotland have had more snow than the winter Olympics and the Alps have had yet more snow. Can I say that the climate is changing? Great lakes ice is doomed for the rest of the 21st century. ……..Approximately 44% of the highest quartile (10 highest) AMICs for the Great Lakes occurred during the 6-winter period:1977–1982 providing evidence of a higher ice cover regime during thisperiod relative to the 14 winters before them (1963–1976) and the 19 winters after them (1983–2001). Winter 1998 established new low AMIC extremes,and the AMIC averaged over the 1998–2001 winters is the lowest for theperiod of record on four of the five Great Lakes. These recent trends taken together are noteworthy as they may be harbingers of a period of even lower AMICs in the 21st Century. Total Ice cover 79% as of yesterday. Better Color map of the ice cover. First time on this map they put ice coverage on it. If you like so see and track the ice this NOAA link is one to bookmark. 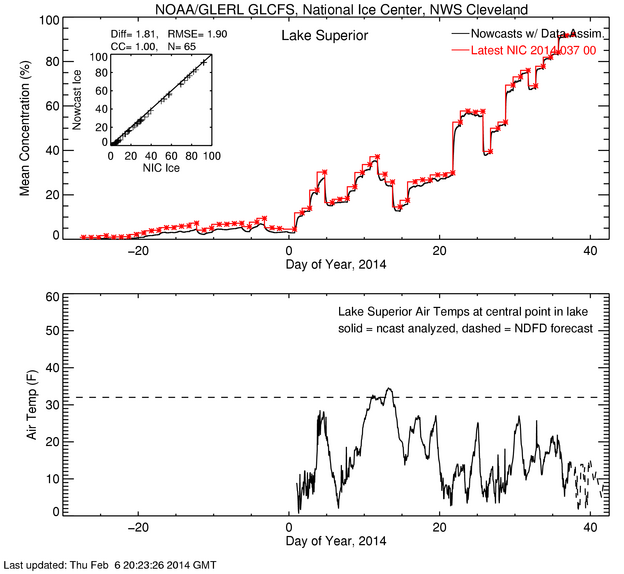 BTW, I have posted info about how NOAA’s Lake Ice model is a complete failure. no one seemed to care or notice my findings. Last week in a 2 day period NOAA’s Great Lakes Ice model for Lake Superior showed ice decreasing but is gained ice. Was off by 33% in coverage in 48 hour forecast period. I have been watching their models for a month and every forcast for each lake and run has been so off I can not understand how it can even be shown to the public. Here is one of my tweets on the model and bust. -7 F where I am in western New Hampshire right now. Definitely one of the coldest winters we’ve had in recent years. – shuts down the lake effect snow machine … at least for Erie; Ontario’s still open for business … prevailing winds are also a factor, such as when the winds came out of the north and dumped snow on Indiana from the still open waters of Lake Michigan. Take a long, hard look at this picture. Chances are, that it may take a loooong time, until we will see open water in the Great Lakes again – as in hundreds and thousands of years. Catastrophic, non-anthropogenic Ice Age – anyone? Hold on there Kimosabe. Are you forgetting the drought and very low snow pack in the western U.S.? More likely just weather from a chaotic system. this is the third most extensive ice cover in the recent past. Lake Ontario is the one to watch. It is deep and south. to Tom in Florida – of course it’s just weather, but it IS so much fun to say it’s “climate change” for two good reasons, both of which I think are worthwhile: 1) it drives the warmists crazy, and makes them swallow their tongues every time someone says it, and 2) it serves as an inoculation (you know, give a little bit of the disease to cure the disease) against any of the warmists saying “see! It’s Global Warming!! !” the instant we have one new high temperature anywhere in the northern hemisphere next July. Beat the whole idea into the ground now, and make them be the ones who do it, and even they won’t be able to bring it up again – and if they do make those claims again next summer, at least the whole sad affair of shrieking “CLIMATE CHANGE” will have sunk into a nonsensical cacaphony that the public will tune out for good. on second thought, I think that has already happened. Some local observations. I live on the southern shore of Lake Superior (the western part of the Upper Peninsula of Michigan, at the base of the Keweenaw Peninsula). The winter weather came early, with very low temperatures and early ice formation. The mechanism seems to be self-reinforcing: Cold weather brings more ice cover, ice cover brings colder ambient temperatures (less moderating effect from open water), which brings more ice formation. If you look at a graph of percentage of Lake Superior ice cover, you’ll see that the slope is increasingly steep, particularly in late January. Very little snow now, just hard, bitter cold — the high temps in the middle of the afternoon are rarely above single digits (F). Here is some media take on this great global warming event. …….Through at least the middle of the upcoming week, temperatures will remain generally much colder than average over the Midwest and Northeast……..
….”It’s been a great winter to learn, considering the amount of ice out here,” Patterson said. “The guys tell me, ‘This is not normal,’ though….. Seems like the graph of temperatures in the middle of Lake Superior should have a scale lower than 0F in case it freezes over early. Record Ice years on the Great Lakes and Cold winters in CONUS have all come at or near Bottom of Sun Spit Cycles. Warm winters and low concentrations of Ice on the Great lakes have come at or near the peak of solar cycles. 2013-2014 is at the Peak of Solar Cycle #24 that is the weakest in over 100 years. 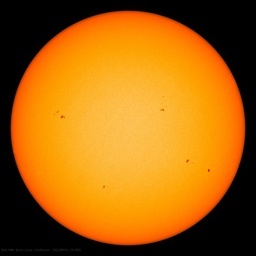 Can stick this to the Climate Scientists like M. Mann that say the sun has little effect on temperatures. If Lake Michigan freezes over (likely with weather forecasts) that will be very historical … and somehow I don’t think it was thought possible for 2014 in 1990s AGW conferences. They would have almost surely said it was hysterical, and laughed you out of the room – but my old, childhood friends along Lake Michigan are not laughing this winter! Global Warming causes more snow because warmer air holds more moisture. 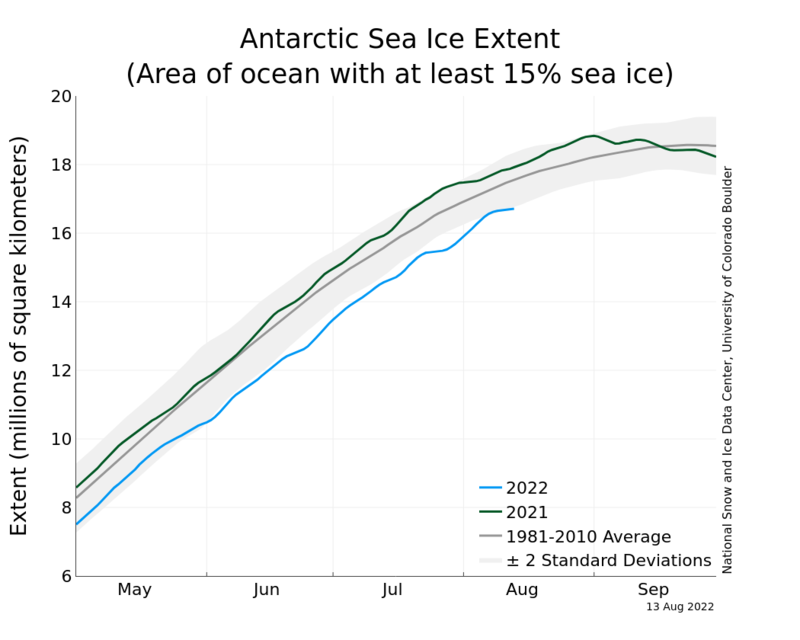 Antarctic sea ice increases by extra snow melt and thus sea water dilution/freezing. Climate Change causes more extreme weather events, such as lakes freezing over. There is no hiatus, official government graphs clearly show warming trend. > stuck in ice on the Great Lakes. > The list of frozen freighters in just the Lake St.
> Clair and Detroit River region stands at six. > and night, from Windsor, Ont., to Quebec City. > up toward the St. Lawrence River. > Toledo, Ohio, for nearly three days. Do you have an academic citation please? I ask for studying Ixodes hard-bodied ticks, that may have originated in the Palearctic Taiga, and are perfectly adapted to such conditions as we are enjoying now, here at the southern verge of the Nearctic Taiga. The tick studies out of Siberia are fascinating reading. Local news has Algoway and Algowood delivering salt to southern Lake Michigan. Locally, we use ‘dirty sand’. Recently I got a 5 gallon bucket full in preparation for my holding tank-pumper and truck’s arrival. I noticed that the shed is down to lass than a third of its capacity. …the wolves on Isle Royale are well pleased! Do you have an academic citation please? Where exactly, is Hell, Michigan? Hell, Michigan is in southeastern Michigan, just northwest of Ann Arbor. I just checked and the local temperature of 8 F so, yes, Hell has frozen over. There are reports around that these low temperatures may kill off the Emerald Ash Borer (google that), a new pest that threatens about every fourth tree in the northern hardwood forests (Dutch Elm Disease is estimated to have killed about 250 million trees; chestnut blight is estimated to have killed 1.1 billion trees; EAB threatens many billions of trees (all forms of ash: black, white and green)). I understand completely, however Florida was 10 F above average the last week or so. We should never fall into the “weather is climate” crap that warmistas use all the time. But I do agree, we must constantly point out how actual weather trumps their modeled climate predictions. Why does Lake Ontario and Lake Michigan not freeze over? Is it the waste heat from Toronto, Chicago and Detroit? Wow! A quarter of the Northern Forest hardwoods are Ash, I hadn’t thought in those terms. I know that there are an estimated half-Billion (500,000,000) Ash in Wisconsin. Unless a prompt cure/solution to EAB disease is found, all Ash trees will be killed. ATM it is costing an average $100 per tree for preemptive removal from private property, presumably as much to the taxpayer for removal from public property. I have identified one in my 5+ acres. Is that spike in the early 90’s the result of the VEI 6 eruption of Mt. Pinatubo? Question: The graph of the temperature of the center of Lake Superior never shows a temperature below zero, yet it looks like it’s a plot of hourly temperatures. At night in central WI it’s been hitting -20F and colder, well south of Lake Superior. Some days it doesn’t get to more than +2 to +4F so even if the graph is recording some sort of moving average it would show negative numbers around here. Yet it never goes below 0F on Lake Superior? Explanation anyone? I find it hard to believe that graph isn’t recording some temps in the area of -20 to -30F at times this winter. I believe he meant “after the maximum of solar cycle 24 in the year 2014.”. Soon, I will be swimming in a 75+ degree Lake Michigan. It is this thought that is helping me get through this winter. Sneaking out into traffic that you cannot see for the snowbanks are too tall and the endless shoveling and raking can wear on the body and the soul, but summer is but a stone’s throw away. Very unlikely that Lake Michigan freezes totally. Not long ago there were reports of snow in Florida. I live right on Lake Superior at Duluth, MN. Trust me this is the coldest winter that I remember since 1979. We have had periods of below 0 temps for weeks. Windchills down to the -40s. It is a cold, bitter winter. With the ice on Lake Superior, it will be a very cold spring and a short summer. Florida is in my future. 1979 is also the year when the 30y moving average of the AMO hit the bottom. @dipchip: Interesting. It’s been quite a bit warmer there than a couple hundred miles south in Wisconsin. We had about 20 below F last night and our highs are running between zero and 10 degrees lately. I know western MI is warmer in winter due to a lake effect. Is the same true of your area? Frankly, given our temps I’d have thought you’d be seeing lows of -30 pretty regularly the past month or so. I think it’s very likely the Great Lakes will set a record for actual measured ice cover this year. It should be noted that the 94.7% “record” number (93.9% from Canadian Ice Service) is an adjusted value, which includes “interpolated” data. Not shockingly, the interpolated data adds the most ice to the earlier years and not the recent years, making the ice loss over time worse than we thought. What makes it very likely is that it is still a few weeks away from when the normal max ice occurs ( http://bit.ly/1bcQId7 ) and temps are predicted to continue to be below normal over the next few weeks ( http://1.usa.gov/1njwqOG ). hmmmm. These lakes drain quite a bit of territory. As in if you don’t like the river you are fishing in, drive or hike the short distance to the next one. I am betting there are plenty of ice dams at all those river and swamp drainage points. Ice dams cause flooding upstream, which if cold enough, freezes that. Eventually you have a plugged system from stem to sturn. The entire system, when unplugged, sends a torrent of fresh water out to the Atlantic Ocean. I seem to recall this scenario on a bigger scale, being theoretically connected to pre-historic catastrophic climate change. More signs of climate change? “Not long ago there were reports of snow in Florida. Well only in the panhandle which is really Alabama anyways. But that was the tail end of a passing storm that clobbered the Northeast. We get those tail ends all the time, a couple of years ago it went below 28 F in February at my house which is well south of Tampa. This year is more normal, some cool days, some warmer days but all within the normal weather patterns for my area. I prefer colored maps, especially those that give a percentage of ice related to open water: i.e. , 9/10 (red) and so on to 1/10 (blue) and gray, fast ice. The Great Lakes are but widening in a river that extends from a Northern Ontario water catchment area to the Atlantic Ocean via the St. Lawrence River. Warm land surface water flows into these colder basins more on the surface, especially Lake Superior and Northern Lake Huron. The warm land surface water of Lake Superior flows into the connector of Lake Michigan and Lake Huron at the Straits of Mackinac. Lake Michigan has no natural exit so the warm water remains on the surface and keeps Lake Michigan from icing over completely. Lake Superior ices over as it is not only colder to begin with, but is no longer receiving warm land surface water because that is now mostly frozen. Lake Huron ices over because the warmer surface water can exit via its natural outlet of the St Clair River to the Detroit River and out into Lake Erie. Lake Erie ices over first because it is shallow and looses it heat at depth quickly and has a short transit time compared to the other Great Lakes. The warm land surface water passes beneath the ice to flow into the Niagara River and over Niagara Falls. Lake Ontario is the last Great Lake to ice over because it is the recipient of the relatively warm land surface waters for the whole catchment area of the Great Lakes. Notice how the Western Region of Lake Ontario has not iced over where the Eastern region is already iced significantly. Ontario and Michigan are both very deep compared to Erie, 800 and 900 feet deep respectively. They have a larger resevoir of heat to keep them ice free longer. Superior is of course deep but much further north and subject to cooler temperatures. Hold on their Kimosabe. Are you forgetting the drought and very low snow pack in the western U.S.? More likely just weather from a chaotic system. The sudden increase in cold weather and the other change in weather patterns is occurring in both hemispheres (i.e. the fact there is a sudden change in both hemispheres is evidence that the climate is changing in response to a forcing change that can simultaneously effect both hemispheres rather than internal processes, so called chaos) and correlates with the most rapid reduction in the solar magnetic cycle in 10,000 years. There are cycles of warming and cooling in the paleo record that correlate with solar magnetic cycle changes. The question is not if solar magnetic cycle changes cause cyclic climate change but rather how. I travelled the north coast of Lake Superior weekly between Marathon and Sault Ste. Marie in 94 and other years. it was a wicked winter. In one blizzard I was driving with about 10 metres visibility at a very slow pace on Highway 17 south of Montreal River. Thank goodnesses it was very slow. Out of the snow being driven parallel to the ground by strong winds, I was suddenly looking way up at a cow Moose standing in the middle of where the road would be if not covered in snow. Adrenaline flowed immediately as I braked and stopped inches away. She did not move but looked down at me curiously. And I was driving a 4X4 with a higher clearance than most vehicles. At some of our historic buildings we left the water running 24/7 to avoid the lines freezing. This winter has been similar with lots of snow and cold, not unlike the 94-95 winter where we received a deluge that collapsed some roofs. The drought in the West is reminiscent of the drought at the end of the 13th century, as the MWP was coming to a close – the drought that wiped out the cliff dwellers and the Anasazi. It’s mjust possible that the drought might be a marker, an indicator, of a prolonged cold period analogous to the LIA. For the last nine days,high temp avg. has been more than 18 deg. below”normal” per Accuweather…East central Ks.. Here is some info on Lake Ontario freezing. Why no media coverage of the growth of sea ice? Wouldn’t this be because it conflicts with their global warming mantra, which they are desperately trying to cling to?. One wonders what the alarmies will do if we do suddenly descend into an ice age – especially if it’s more severe than the LIA? It will be interesting to watch them squirm, trying to make water freeze by heating it. There are some great links here. Can you establish a Great Lakes ice page in the reference section? In Chi-beria we only need another 1.2 inches of snow, to move into 3rd snowiest winter, of record. That could well happen today or tonight, as the snow has started to fall, again. I survived both the snowiest winters ‘1977-78’ and ‘1978-1979’. This one has a similar feel to it. The current pattern is too cold, to snow very much. But we still have another 39 days, 21 hours, 30 minutes, until spring. We need another 12.5″ for second place. The record is 80.6″ and we are currently at 59.6″. I don’t think we will get there, unless Gore or Obama show up. If one of them even re-fuels at O’Hare, that will bring us another 8″ storm. When water is 40F or more, the warmest water is the lightest, thus the coldest waters tend to sink to the lowest depths, and the warmest waters tend to stay up top. Once water temps are dropping, and hit 39F, however, things reverse. It doesn’t much matter how deep the lakes are, because ice crystals start to form, and make up a small fraction of the water starting at 39F … so the coldest water now stays at the top because it is progressively less dense as it continues to add light crystals/freeze/get colder. The stratification of temp layers thus reverses in the top layers of the lake, so that the coldest water layer stays at the top because it is most bouyant, and the next closest layers to the top are the coldest layers in the lake until you finally get down to the 40F*+ waters. If cold continues, lakes freeze over more quickly once dropping below 39F water at top because the growing fraction of ice crystals seal the top most layers of the lake from the lower, warmer layers. The warmer layers (40+F) are still below for the fishies and such, but they cannot penetrate/mix with the sealing layersnif cold temps (32F and below) persist. One might think that high winds could mix the water, but it actually helps transmit the cold air to the top layers more quickly. Water is very good at holding heat, so the more water there is, the more heat it will hold. This is why large deep lakes take longer to initially freeze, but once 39F water is reached in an extended cold spell, the “game” changes, and all lakes will freeze if the cold spell continues a bit longer. While people will argue that Lake Michigan or Lake Ontario do not ever freeze over – they are incorrect. 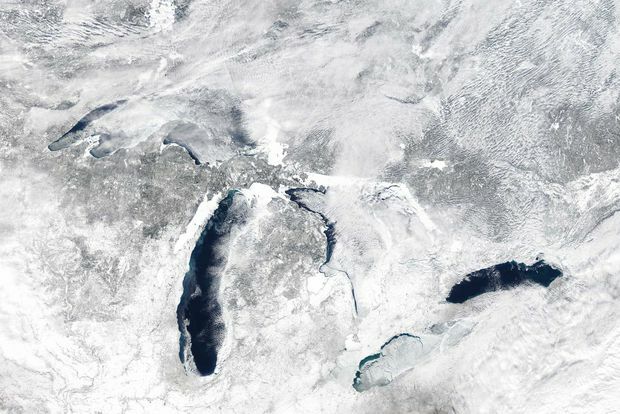 At some extended cold spell length all the Great Lakes will freeze over. For example, wouldn’t everyone agree that all the lakes would freezeover when, and if, we enter a new ice age? Of course, because eventually it would be so cold, they would even all be covered ALL YEAR by very thick glaciers … and would have frozen completely over many preceeding winters. So, my point is not that we are entering a new ice age … my point is that at some extended length of a cold spell … each of the Great Lakes can and will freeze over. Where are the A-Hats in the media now? My anti-favorite green peace sympathizer and pseudo-journalist Martin Mittlelstaedt used to write about human extinction catastrophes du jour regularly at the Globe and Mail. Canada has 20% of all the fresh water in the world. And it is nearly all frozen over! That is big news. The world is getting colder and that is an enormous problem. Maybe when Martin is eating dogfood out of a 2-years old can because the crops failed for one summer he’ll pull his activist head out of his @$$. That goes for the NYT A-Hat Seth Borenstein too. One year of crop stress is all it will take to screw up their comfy urban ivory tower delusions. It will be chaos in the streets. Deep Frozen bread basket and dry southwest means short growing season then skyrocketing food commodities and beef etc. Buy grain futures!!! Actually, you should buy and hoard the grain. Ever, eh? Warmistas media spin making inroads I see. You should be proud of yourself, then. C’mon folks. Whether you are a coolista or a warmista you cannot use a couple of years of different weather as anything more than just what it is, different weather. Now if we still have snow across the U. S. in August, I might have to rethink some things. What does all this ice mean for increased albedo and even lower temperatures down the line? Let’s not be silly. The United States [of America] didn’t exist until the late 18th century. The other United States* & Canada came later yet. I’m not sure where the “missing heat” is hiding, but it’s probably not in Lake Superior. If you have 50 or more miles of water around the center of Lake Superior, that water will never be below 32 F. So even if -30 F air comes in, by the time it reaches the middle of Lake Superior, it will have warmed to about 0 F. However once it is ice covered, then there is no reason temperatures cannot get much colder. Something similar happens in reverse in the prairies when snow covers 90% of the ground. Regardless how warm the air wants to be due to the sun or wind, it seems hard to get higher than 12 or 14 C as long as the snow “emits” 0 C into the air if you know what I mean. But once the snow is gone, then 30 C is no problem. In Europe the storms come before the Little Ice Age. “Hell, Michigan has frozen over!” HAHAHAHAHA. Ouch sides hurt. Summer of 9th grade I rode my bike from Hell to Paradise – Michigan that is. Rest of the trip was a sweet memory. Looks like this might be the year to risk taking that snowmobile trip across the big lake you always dreamed about. I bet there are going to be some spectacular ice ridge pictures this year as well. Regardless how warm the air wants to be due to the sun or wind, it seems hard to get higher than 12 or 14 C as long as the snow “emits” 0 C into the air if you know what I mean. Now, I’m just a simple country boy who once ran a JD 5020 with a 40ft wing disc, but I know that freshly plowed dirt is a great place for sailplanes to catch “thermals” (I’m just a simple country boy who’s been up in a sailplane), so it seems to me that that funny ol’ word “albedo” might have a tiny bit to do with it. What you are trying to say is that fresh water reaches its maximum density at 4 degrees Celsius (39.2 degs F). The drought is in California. Here in Colorado the temps have been plenty cold and the mountains are getting hammered with snow. It is not all across the west. It is such a great relief that there is now significant ice cover growing on great bodies of water all over the planet. We were worried global warming would cause climate catastrophes of biblical proportions. We are grateful our concerns have been alleviated by recent evidence of prolific freezing cold conditions on planet Earth. In light of the evidence, we are scaling back our catastrophic climate change proclamations. We wish to thank our environmental warriors for raising awareness of Global Warming concerns, however it is no linger necessary to raise the fear level over this issue further, due to the extensive worldwide cooling. Please direct your environmental concerns to more traditional pollution controls other than CO2 effects that don’t appear to be causing change change, as natural factors appear to be the main driver. LOL Now we know another reason salt is being delivered by Algowoods &Algowayto metropolitan southern Lake Michigan. Milwaukee Journal Sentinel: Saline [solution] shortage prompts Wisconsin hospitals to conserve supplies. Salt solution is much a more effective de-icer than crystalline salt. The climate is changing. It is globally cooling. I told you. Ice build up followed by sudden release through broken ice dams along the St. Lawrence outlet. The albedo of white sand and white snow may be the same, but the difference in the effect on temperatures is huge. Or think of a very warm wind coming in at night to both sand and snow. Yes, albedo may have some effect, but I think it is negligible in this comparison. The snow absorbs heat from the air and uses it to melt the snow. The phase change leaves the air colder than it was, until the snow is melted. So, it would seem to mean temps have gotten to the critical 39F as highest top layer lake temp, and will very likely freeze over now (considering weather forecast). WARNING: We must watch the MSM, though, they may start obfuscating, minimizing, etc. and calling it thin ice or dirty ice or not enough ice or not as good as the 1970s ice …. (no joke). We need someone to do a flyover at the end of the ice growth season this year. @JBJ Yes, I was saying that, and if I was just explaining it to you … because you are so smart … I could have just said that. On the other hand, if that is all you got out of my post … maybe not so smart as you missed the main point. About albedo and radiative heat transfer, it is proportional to the fourth root of the absolute temperature difference, proportional to the fourth root of an already small number. When it is particularly nasty cold here in mid NC, I like to ask people how they like their Global Warming. I usually get a scrunchy face and a grumble. Sorry: In previous post “open water” not the best term … I mean they are showing “no ice free water for the first time”, so most probably 39F or lower at top layer of lake water. On the opposite side of the world. In SA of Australia it was 40C yesterday. 29C at 10pm. Nothing unusual about that except if you are of the New climate brigade! I wasn’t trying to be derogatory! Lake Ontario is 100 m lower elevation than the other Great Lakes. If what we are observing (the jump from 50% to almost 100% ice cover in 10 years) is natural variation, just wait until the earth systems say it is time for glaciation. It will be ruthless and no one will escape its rapid trend. What plans have been made to defend life against this type of massive rapid change? Small correction to your statement: … water of Lake Superior flows into the connector of Lake Michigan and Lake Huron at the Straits of Mackinac. Actually, Lake Superior drains into Lake Huron via the St Mary’s River, the geographic boundary between the US and Canada. The Straits of Mackinac, the point where Lake Michigan and Lake Huron meet, are 50 miles to the south. Technically Lakes Michigan & Huron are one lake with two major basins, as their surface level is the same thanks to the connection at the Straits of Mackinac. Viewed in this way, Lake Michigan-Huron is the largest freshwater lake in the world by surface area. Does anyone here know the average temperatures of the lakes? I know that I could Google it but what factor does that play in the development of the ice? “The reversal of the Chicago River was a pioneering, massive public works effort that saved the Chicago region from waterborne diseases caused by sewage contamination of its drinking water supply – Lake Michigan. The City’s sewers discharged human and industrial wastes directly to its rivers, which in turn flowed into the lake. A particularly heavy rainstorm in 1885 caused sewage to be flushed into the lake beyond the clean water intakes. The resulting typhoid, cholera, and dysentery epidemics killed an estimated 12 percent of Chicago’s 750,000 residents, and raised a public outcry to find a permanent solution to the city’s water supply and sewage disposal crisis. A long way of saying, there is also an outlet to the Gulf of Mexico now. The flows are monitored, by the way. Al Gore must have been up there recently. I’ll pass on Lake Michigan (though it’s looking pretty frozen to me). Lake Erie freezes readily because it’s a mud puddle compared to the other Great Lakes. It’s average depth is only 62 feet, Ontario is 283. Okay, Michigan is 279. In the fall “turnover,” the surface water that cools and sinks will cause a big exchange of surface and bottom water, and it takes time for the lakes to reach 4°C whereupon further cooling stays onthe surface and soon freezes. you get somewhat more cloud formation and condensation at the lower latitudes and less clouds and condensation at the higher latitudes. So, especially in some places of higher latitude (Australia, Great Plains) it will become drier, and paradoxically perhaps, also warmer…. Anthony, I put video together this morning to document the sudden drop in Lake Superior’s Ice Concentration after news sources put out all kinds of news articles on so much Ice is on the Great Lakes now and how Superior broke old daily record in 1994 for the date for most ice. Temperatures were very cold and did not rise to make the ice lower in concentration. I have been tracking the ice for some time and Looks like Data Tampering to me..
Can you or anyone else take a look at my vid and let me know what you think. Good observations. It would be very odd for Lake Superior’s ice to decrease by 5% in the middle of a sub-zero night, without gale force winds ripping at the surface. As conditions were fairly calm for that huge lake, i agree it seems likely some sort of technical “adjustment” was made. When the boss comes into work on Monday morning he is not going to be pleased. When “corrections” and “adjustments” are made they should always be documented, and they should be done in an honest and humble manner. > Can you or anyone else take a look at my vid and let me know what you think. On the video you say both that the decline happened during the coldest part of the night and show maps to show the decline (and incline for Lake Michigan) happened at 1900 UTC. That’s not the coldest part of the night, it’s 1400 EST, 2 PM. It sure has the look of someone decreasing the sensitivity of an ice dectector, but that does’t explain what happened to Lake Michigan. I don’t have time to help out, but perhaps you and Caleb can check out cloud cover over the lakes. Perhaps that obscured the microwave signal or whatever is used to remotely sense ice. Are you sure those animations aren’t from models? After clicking on “Ice” for Lake Superior on the GLERL GLCFS page, I found a page which linked to animations that appears to be the one you showed in your video. Here is the page which had the Lake Superior animation links: http://www.glerl.noaa.gov/res/glcfs/glcfs-ice.php?lake=s&type=N&hr=00 . On the top of this page (before you click on the animation), it says: “Lake Superior Ice Cover Using POMGL Ice Model”. Perhaps meterorological inputs to the model caused the unusual dynamics shown in the animation. I’ll fly over Lake Superior in a helicopter to check out the actual ice, as soon as someone arranges the funding for me. Is there a discrepancy with the Environment Canada information? But Paradise (Michigan) has frozen over too, it is 1 F on 2/9/2014 as of 11 AM EST. Four million cubic feet of water falls 50 m every minute from Lake Erie into Lake Ontario. Not sure what effect it would have on surface ice but Niagara Falls represents the highest flow rate of any falls in the world (Wiki). I did mention two wrong things. Time of decrease , was not coldest part of night but onset of evening at 1900 GMT and [meant] to say 1979 not 2009. Just really seems odd with even the Northern part of lake Michigan [increased] in concentration when almost all of Lake Superior fell starting the same hour. Canada Ice service shows almost all of lake Superior at 9-10/10 coverage except for a few small areas that are 7/8-10/10 coverage on 2/8. Something happened for sure, was it a Glitch, intentional tampering to make it look like less ice after news articles [soared] or was the data put into the ice model that is supposed to show actual coverage wrong and just a mistake? Did Lake Superior break the 1994 record of 91% on 2/05 at 92% and what is the exact ice coverage/concentration # as of today? [Does] someone have any other links? Its about time. First time this level of coverage since 1998. Is what happened illogical? Yes. It was way too cold for the lake to lose that much when it was essentially frozen over and is in a strong ice forming modality (below 40F). As I have been saying for 10 days we are in an epic freeze, with obvious records of unusual cold … and the agencies that only promote the AGW will try to hide it. We do need a flyover or flyovers as this is something that can be done outside of just reading the data interpretations they put out there. We have weather and time on our side because the cold will continue for at least 10 days. On Feb 5th the Canadian Ice Service did something similar by suddenly changing the map legends of their ice coverage maps to human descriptions from quantified ice fractions. The most logical conclusion is that we are already getting biased data/maps as compared to earlier decades … and that we are in fact already in a very anomalous winter. So, the Canadian Ice Service is showing substantially less ice, and substantially more open water, in Lake Ontario on Feb. 9th as compared to Feb. 8th. It would appear that these agencies want to say certain things about Lake Superior, Lake Michigan and Lake Ontario … so the amount of freeze overs don’t look as historic as they are going to be. If you or one of the skeptical scientists with ph.d. here would do a flyover at the end of ice season, or 10 days from now it could be a great public service, and a major publicity generator. Doing a video that could easily go viral. I would suggest going from Chicago to southwestern Mich. than back over to Milwaukee. Then, of course Lake Sup. will be very frozen, but not as dramatic as Lake Michigan freezing over. We could also see just how accurate and straightforward their maps of ice coverage are, or aren’t. As I say, could be a great publicity generator, and is definitely a public service. I would do it but I am in Volcano, Hawaii, where the weather, and the volcano, are truly WARM! Here in Southern Wisconsin (about 50 miles inland from Milwaukee) we’ve had 141 hours over freezing and 300 hours below zero since Dec 1st. Everything else is between zero and 32. The average high for us is 27 degrees in Jan with an average low of 10. This has been a really cold winter for us. Hey, hey, hey … they are showing Lake Michigan even closer to freeze over today. Huron, Superior, and Erie … ice fields galore no open water …. http://iceweb1.cis.ec.gc.ca/Prod20/page3.xhtml Yeeeeks, this is fun! This should be a new record for measured ice cover. According to the Canadian Ice Service the previous high measured value was ~86-87%. ( http://bit.ly/1jmi2YG ) Note that the gray area in the bar chart is “interpolated”/adjusted data, not measured. Well, Lake Michigan was going down (icing over nicely), but the “authorities that be” changed their instrumentation or interpretation factors. It has lost ice all over the place during continuous temperatures that are well below freezing! And quite a significant amount after the Canadian Ice Service (CIS) showed it icing up and closing up. They have also changed their ice maps so that Lake Superior and Lake Ontario have less ice. Lake Ontario and Lake Michigan are way different now as far as considering “percentage of ice” with these new maps. GL ice coverage percentage as a whole is suddenly showing much LOWER during verz cold weather and after all lakes had really started closing up and turned over. This during a Feb. which is way below normal temps, and no above freezing temps. WE NEED SOMEONE TO FLYOVER THE PERTINENT LAKES & VIDEO. Tues-Fri it will reach some daytime highs above freezing for the first time … then looks cold again. Below this text are the links to NOAA and CIS. NOAA has also suddenly put “Under Development” on some very pertinent maps. Their whole plan is obviously to obfuscate the whole thing and put whatever fraction/percentage of GL and Lake Michigan coverage they deem necessary. I can just imagine how regulars here must feel now about arctic sea ice interpretations, etc. The “scientific method” is still intact, but science in the western world is being controlled by people that think obfuscating and misrepresenting to the citizens and other scientists is ok. If we go into a prolonged cold spell, as some scientists think, it will wreak havoc due to this negligence. And yes, there is an ice breaker channel showing up. So, they were going around the perimeter with ice breakers on the thinnest ice regions in previous days. Who knows what percent ice cover this gets translated to in the media, but it is obvious they are showing a completely frozen over Lake Michigan with various thicknesses of the ice cover on this latest map. So it seems that despite the rationalizations the warmists can give ordinary people will look out of their ice glazed windows and conclude that AGW is a crock.